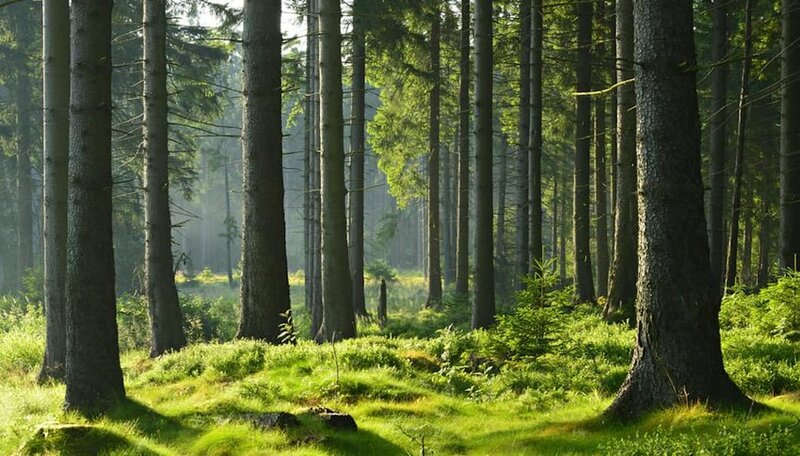 It may sound a little unusual at first, but the practice of "forest bathing" is taking off. The fundamental ideas of Shinrin-Yoku, as it's formally known, took root in Japan during the 1980s, proposing forest therapy as perfect medicine in today's hectic, stress-packed era. Translated as "taking in the forest atmosphere," Shinrin-Yoku takes psychological advantage of the natural sense of serenity found in nature for a relaxing, restorative experience. A calming commune with conifers is believed to provide benefits such as increasing immunity while lowering blood pressure and stress hormone levels. But it appears there may be more to it. A theory by researchers at Nippon Medical School and Chiba University in Japan postulates that organic compounds produced by plants and trees to protect themselves from bugs and disease are good for us, too. By walking slowing and breathing deeply, we can take in this positive plant elixir from the air. These days, there are even certified forest bathing spots. Those places — and guides trained in the practice — can be found through the Association of Nature and Forest Therapy. So for your first forest bathing experience, why not go with some guidance and get the most out of it. Here are five of the best spots to get started. 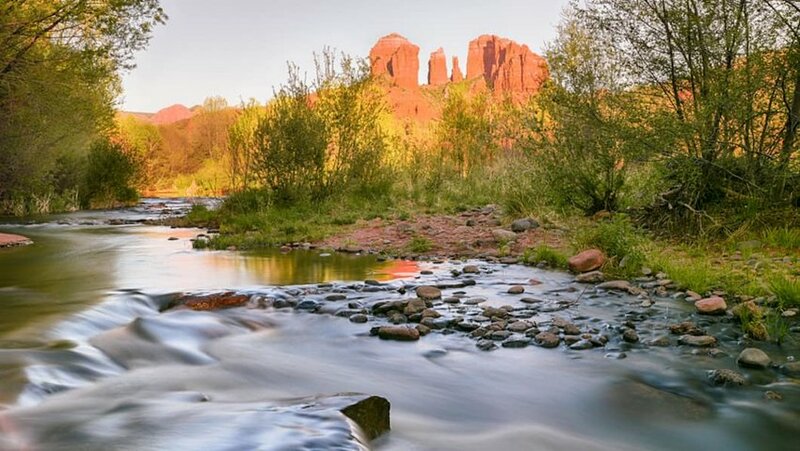 At the L’Auberge de Sedona, certified counselors lead forest bathing sessions amidst the retreat’s unique, oasis-like setting in Sedona’s Red Rock country. Private 60- and 90-minute Connecting with Nature classes take advantage of the surroundings, including local wildlife sightings and the sounds of gurgling Oak Creek, all beneath a grand canopy of mixed forest draping the banks of the stream. Following a brief introduction to the practice of forest bathing, an invitation is given simply to be mindful of your presence in nature. If you're not quite ready to let go of the great outdoors, enjoy massages and other spa treatments with views of the babbling creek and surrounding natural scenery. For tree time at Osmosis Day Spa Sanctuary, you can choose from specifically-themed Zen Garden settings, including the Meditation Garden, Japanese Tea Garden, and the intriguingly-named Field of Hammocks. No spoilers here, but the property truly exudes a sanctuary calm wherever you turn. A main focus of the retreat is guests fully utilizing the property’s lushly-landscaped five acres as a key component of healing. Located just outside of Ottawa, the Carp Ridge EcoWellness Centre has everything from bed and breakfast accommodations to an eco-wellness preschool program. Take advantage of the adult retreats and workshops for a deeper, more immersive experience in woods wellness. Set on 190 acres of secluded, trail-filled wilderness to explore, Carp Ridge leaves plenty of room to roam in search of private forest time, too. Trees are considered therapists at The Lodge at Woodloch, where the staff urges guests to keep their minds and bodies in the present while instructing them in deep-breathing and mind-body awareness. Gentle, contemplative strolls take place on the 500 deeply-wooded acres surrounding the lodge, where forest bathers absorb nature through all five senses. Regularly scheduled classes are conducted by lodge spa staff specifically certified in the practice of forest therapy. 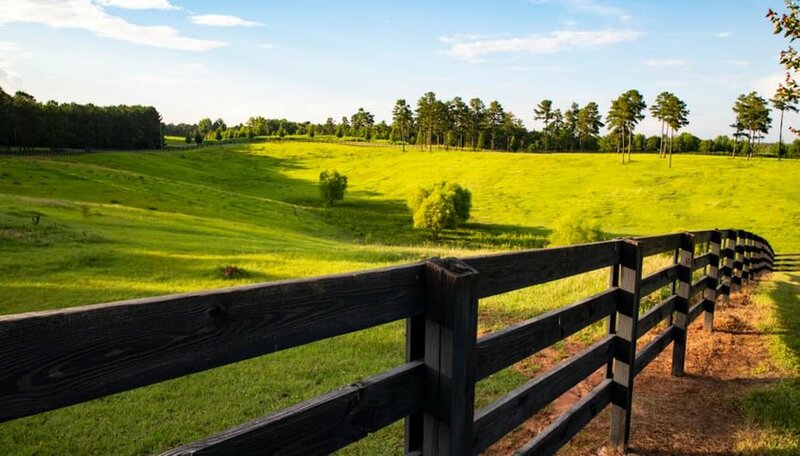 Situated about an hour outside Atlanta by car, the Farmhouse Inn is a bed and breakfast collective with private rooms, a five-room farmhouse and a two-bedroom cottage for a quaint, country stay. More than just a B and B, the picturesque property features the Red Barn Meeting Room, an outdoor terrace and adjoining lawns, all used for events like farm-themed weddings, business retreats and family reunions. Whether staying as part of a group or on your own, you can access wooded stands at Hundred Acre Farm, where introductory, guided forest therapy walks take place on the property’s certified forest-therapy trails.